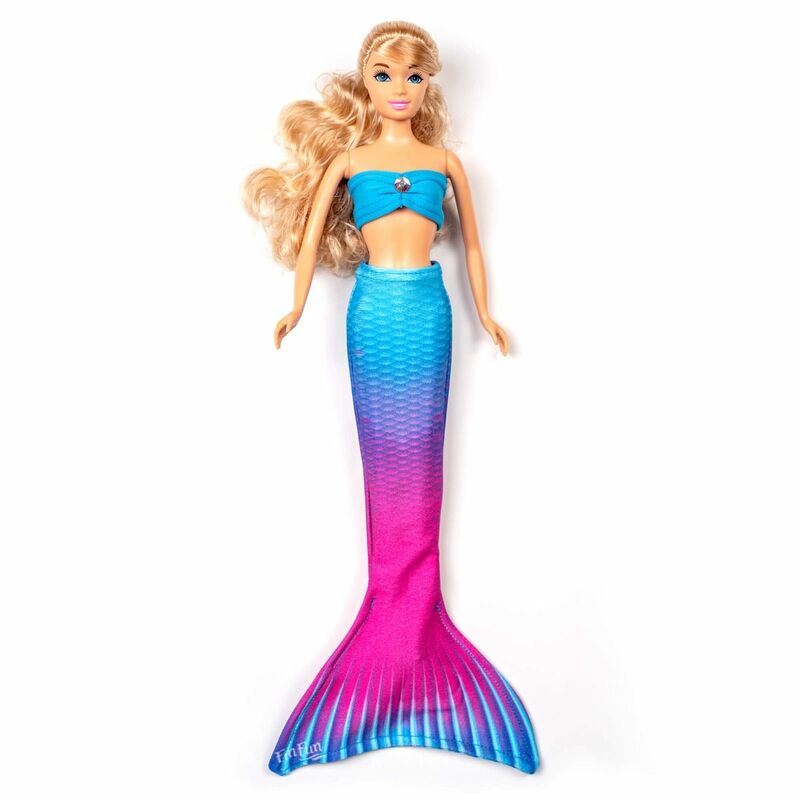 Dress your doll in the brightest colors of summer with Fin Fun’s Maui Splash doll tail set for fashion dolls! This two-piece set for 11.5-inch dolls includes tail & top, and matches our full-size version for toddlers, girls and adults. Doll not included. A day at the beach will never be the same when you take your favorite doll along for the party! Featuring the same swimmable material as our full-sized Maui Splash mermaid tail set, this teeny tail set is composed of premium fabric that’s fade-resistant, which means that with proper care, its bright fuchsia and ocean blue tail colors will stay as vibrant as the day you first saw them.